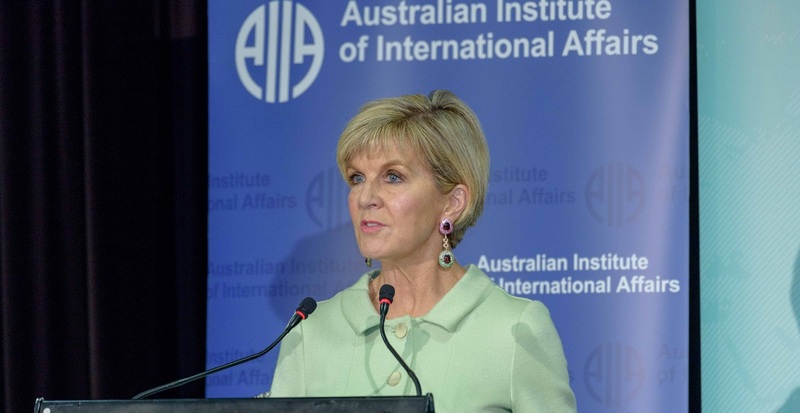 In October, Minister for Foreign Affairs Julie Bishop MP told the 2017 AIIA National Conference that the Australian government was engineering its foreign policy to accommodate the new instability of the international order. The forthcoming Foreign Policy White Paper will articulate the priorities, interests and values for Australian foreign policy for the next decade and beyond so that Australia can navigate the uncertain seas ahead. The international rules-based order, the web of treaties and alliances and institutions that has been built up since World War II is under strain, even fraying, as some nations seek to bend or break rules in pursuit of short-term gain. It is partly in response to these and other challenges that the Turnbull government will be releasing its Foreign Policy White Paper later this year—the first since 2003. The White Paper will chart a course for our engagement with the world over the next decade including how to best deploy our resources in pursuing our interests and promoting our values—even though it is impossible to predict how the world will change over this time. The White Paper will also reflect on the underlying and ongoing conditions for continued peace, stability and prosperity in the region and across the globe—and how best to position Australia in this fluid environment. 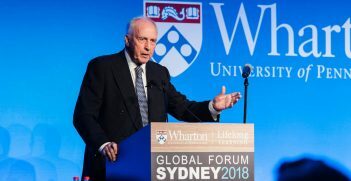 Australia will retain its status as one of the few fully industrialised economies in the region with a powerful and advanced military, while other countries in the region will become wealthier with growing power. Within the time period covered by our upcoming White Paper, the combined military budgets of Asian countries are likely to match United States military spending for the first time in at least 100 years. This means the Indo-Pacific will become an increasingly congested space for great powers and their formidable military capabilities. The United States will likely remain the world’s only superpower although we have never seen or been in an era where there has been a powerful China, Japan and India at the same time. Russia will remain a significant strategic player in the Indo-Pacific. South Korea, Indonesia and Vietnam will grow in relative influence. Additionally, the strategic composition of nations will be qualitatively different from the past, as the majority of the emerging great and regional powers in the region are not allies or long-standing security partners of the United States. Raising the stakes is the fact that many of the current disagreements over territory involve Asia’s great powers. We need to be clear-eyed about the current state of the region and the world, and to proactively seek ways to shape events to our best advantage. Importantly, Australia needs to maximise its influence in the world. We have an independent foreign policy and we do not outsource our decisions to other countries. That does not mean we do not value the views of others or acknowledge the great benefit that comes from our long-standing and strong alliance with the United States—quite the contrary. As the only global superpower into the foreseeable future, the United States is able to project power in any part of Asia, throughout the Indo-Pacific and around the world. 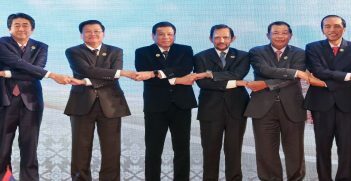 More importantly, security and stability in Asia continues to depend on a United States-centric system of bilateral alliances and security relationships in the absence of any collective security arrangement, along the lines of NATO. The United States receives explicit and ongoing acquiescence from many countries to host its troops and military assets because it is in their interest to do so. The United States is also the only great power in the region that does not have direct territorial disputes with other nations in Asia, thus putting it in a principled position of not having to pursue self-interest at the expense of regional security. Criticism of American administrations emanating from the region is generally loudest when Washington is perceived to be stepping back from the region but rarely when it seeks to engage more deeply. 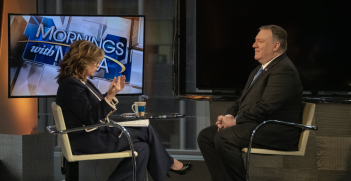 As an ally of the United States and close security partner of several more countries in our region, we are playing an increasingly important role. To take the Korean Peninsula as an example, it is directly in our national interest that tensions are resolved peacefully, with three of our four largest trading partners in North Asia: China, Japan and South Korea. Australia has been an active contributor to the international debate about North Korea, and much has been undertaken in bilateral discussions with counterparts. As Australians, we famously speak our minds, and so we tend to be frank and upfront about our opinions and judgments. That is not lost on other nations and we are often viewed as an honest broker when engaging with others on matters that are often highly sensitive. The Coalition government’s record of deepening our alliances and advancing Australia’s interests and values throughout the region is compelling; our relationships with most ASEAN nations have never been stronger or deeper. We have invested in what is recognised as an enormous boost to our long term and enduring engagement with our region. Our New Colombo Plan is a visionary model for developing people-to-people links between the next generation of Australian leaders and the region which will serve our nation well for at least a generation, or more. I have also overseen the largest expansion of our overseas diplomatic presence in more than 40 years with 12 new posts, mostly in Asia, as we advance and promote our interests in the region—two additional posts in Indonesia, an additional post in PNG, in China, in Mongolia, and in Thailand, for example. Importantly, Australia remains strongly committed to the international rules-based order and we have demonstrated our willingness to submit ourselves to independent scrutiny, as an example for others. Our government will continue to promote the development of Australian foreign policy by maximising our capacity to pursue our interests and values in an increasingly contested region and world. We cannot predict how events will unfold. However, when it comes to our interests and values, we can determine our anchor points and reinforce those when engaging with the region and world. We adapt to developments as they occur and adjust—to advance our interests and values rather than at the expense of them. We are seen as an open, liberal democracy, committed to freedom, the rule of law and democratic institutions. We are an open, export-oriented market economy, selling our goods and services around the world. Our Foreign Policy White Paper will articulate our priorities, interests and values for the next decade and beyond so that we can navigate with more clarity and assuredness the uncertain seas ahead. The Hon Julie Bishop is the minister for foreign affairs in Australia’s federal Coalition government. She is also the deputy leader of the Liberal Party and has served as the member for Curtin since 1998. This is an extract from her address to the 2017 Australian Institute of International Affairs National Conference on Monday 16 October. The full text of her speech can be found here. Indonesia's foreign policy direction remains uncertain as it attempts to navigate changing regional dynamics. In episode 13 of Australia in the World, Allan and Darren take a look at issues surrounding future 5G infrastructure and the Five Eyes intelligence network. US President Donald Trump may have alighted on the right policy when it comes to best managing the relationship between the US and China today. It's a little bit of Kissinger, with a balance of power strategy backed by partnership diplomacy.